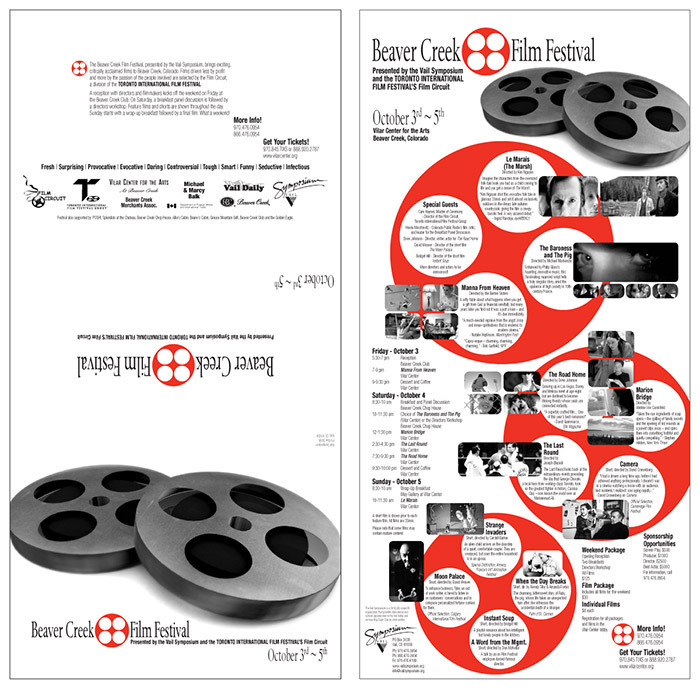 Caption A brochure and poster to promote a film festival. Folds in thirds. Two-color piece. Left: cover, self-mailer side and introduction. Right: inside details page which also can be a poster. Note: logo design by zonk creative.